When the warm temperatures roll in to North Texas, it’s not uncommon for a serious case of wanderlust to settle in. However, in North Texas, dreams of days spent idling on a beach are accompanied by the dread of an all-day drive across the Lone Star state to its coastline. 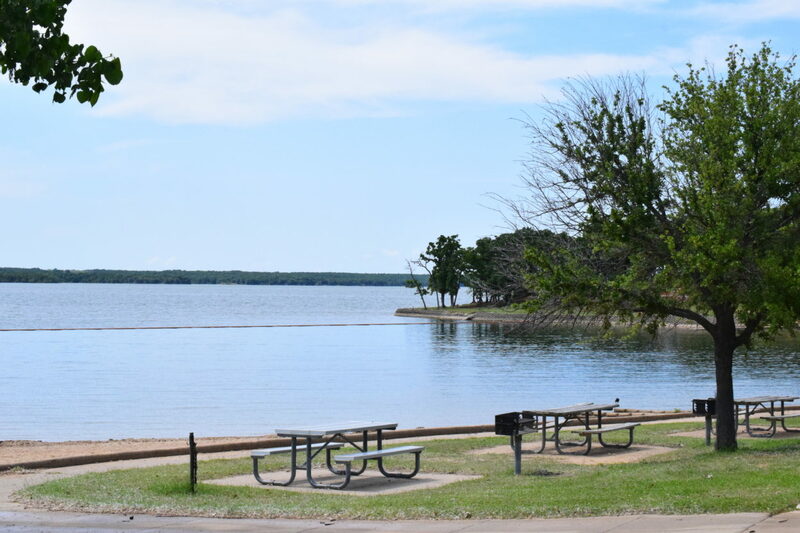 But have no worries, the swim beach at Lake Ray Roberts provides the opportunity for North Texans to dip their toes in the sand without the long-distance trip. Located 10 miles north of Denton between the cities of Pilot Point and Sanger, the 29,350-acre lake is filled by a tributary of the Trinity River. The lake was named after Ray Roberts, a local congressman who supported the creation of the lake in 1980. Lake Ray Roberts consists of nine units, with three developed units. It is at Isle du Bois where visitors can find the sandy beach that welcomes swimmers into the cool waters. Splash around in the waves, build sandcastles and soak up the sun at the sandy beach. Enjoy the day swimming, paddling or get a hook in the kid’s fishing pond or the lake. Those who like a little bit of elbow room on their beach will have no worries, although a crowd can be expected from March to November, the shore offers plenty of room for everyone and can always be found clean and free of trash. The lake offers up a natural playground for visitors who want to continue an active day hiking, biking, riding, rollerblading, geocaching or go backpacking. Other amenities include kid’s playgrounds, restrooms, picnic tables and a sand volleyball court. Those searching for a quieter day can enjoy photography, nature watching or simply relax and take in the scenery. Gates are open daily from 6 a.m. to 10 p.m. Admission is $7 per person daily. Children under the age of 12 are free.